A total of N525 billion was invested in 35.022 billion shares through 10 stockbroking firms between January and May this year. According to the data obtained from the Nigerian Stock Exchange (NSE) at the weekend, the value represents 73.3 percent of the total transactions and 51.9 percent in volume terms in the five months. An analysis of the value of the trading showed that Cordros Securities Limited led with N190.507 billion or 26.6 per cent. Stanbic IBTC Stockbrokers Limited followed with N110.009 billion or 15.3 per cent. 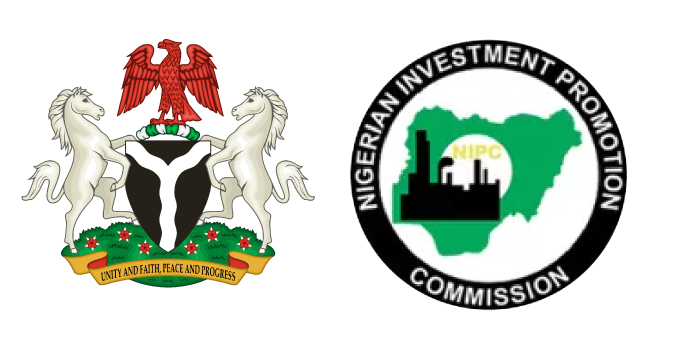 Rencap securities (Nigeria) Limited facilitated investment of N60.824 billion or 8.5 per cent, while CSL Stockrokers Limited accounted for N38.033 billion or 5.3 per cent. A.R.M Securities Limited traded N34.180 billion or 4.7 per cent, while FBN Securities Limited accounted for N24.725 billion or 3.4 per cent. EFCP Limited traded N24.725 billion or 3.08 per cent, while Chapel Hill Denham Securities Limited accounted for N19.231 billion or 2.6 per cent. Cardinal Stone Securities Limited accounted for N14.138 billion or 1.9 per cent, just as Apel Asset Limited traded N11.309 billion or 1.5 per cent. In terms of volume, Capital Assets Limited led with 7.108 billion shares or 10.5 per cent, followed by Stanbic IBTC Stockbrokers Limited with 5.240 billion shares. Rencap Securities (Nigeria) Limited traded 4.01 billion shares or 5.9 per cent, just as A.R.M Securities Limited accounted for 3.479 billion shares or 5.1 per cent. CSL Stockbrokers Limited traded 3.129 billion shares or 4.6 per cent, while Meristem Stockbrokers Limited accounted for 2.752 billion or 4.0 per cent. Cordros Securities Limited, Imperial Asset Managers Limited and Morgan Capital Securities Limited and Cardinal Stone Securities Limited traded 2.404 billion shares, 2.307 billion shares, 2.296 billion shares and 2.296 billion shares respectively. After a slow start at the beginning of the year, the volume of trading has improved since April in line with the bullish trend that has been sustained as at last week. The Nigerian equities market recorded a monthly growth of 14.5 percent in May as foreign portfolio and domestic investors sustained demand for shares following improved foreign exchange management and an indication that the economy is emerging from recession. The rally has been triggered by the introduction of the new foreign exchange window for investors and exporters (I&E) by the Central Bank of Nigeria (CBN). Apart from the new FX window by the CBN, analysts said investors are also responding to more favourable economic indicators. Before now, market analysts had linked the poor performance of the equity market in the last three years to weak macroeconomic performance, inconsistent policies, weak corporate earnings and portfolio realignment from equities to fixed income securities. They, however, had at the beginning of the year raised hopes that the market would recover this year. “Looking at the strong growth in the unaudited results that quoted companies released for the period January – March 2017 and the improvement in the macroeconomic environment, we believe the equity market is ready for a recovery in 2017,” analysts at FSDH Research had said. According to them, the increase in the supply of foreign exchange to meet the input requirements of manufacturing companies should increase their production activities and revenue in the current financial year. “The stability in the macroeconomic environment and the strong earnings of quoted companies should attract the needed liquidity into the market. Consequently, the equity market should record a strong recovery in the year 2017,” they stated.